What is Teosyal PureSense Redensity I? Teosyal PureSense Redensity I is an injectable gel used to add density to the dermis. Its hyaluronic acid content holds moisture within skin to restore volume and hydration, while its Dermo-Restructuring Complex of 8 amino acids, 3 antioxidants, vitamin B6, and 2 minerals supports skin growth for improved density. It also contains lidocaine for the improvement of patient comfort. This gel is suitable for use on mature skin with signs of aging. 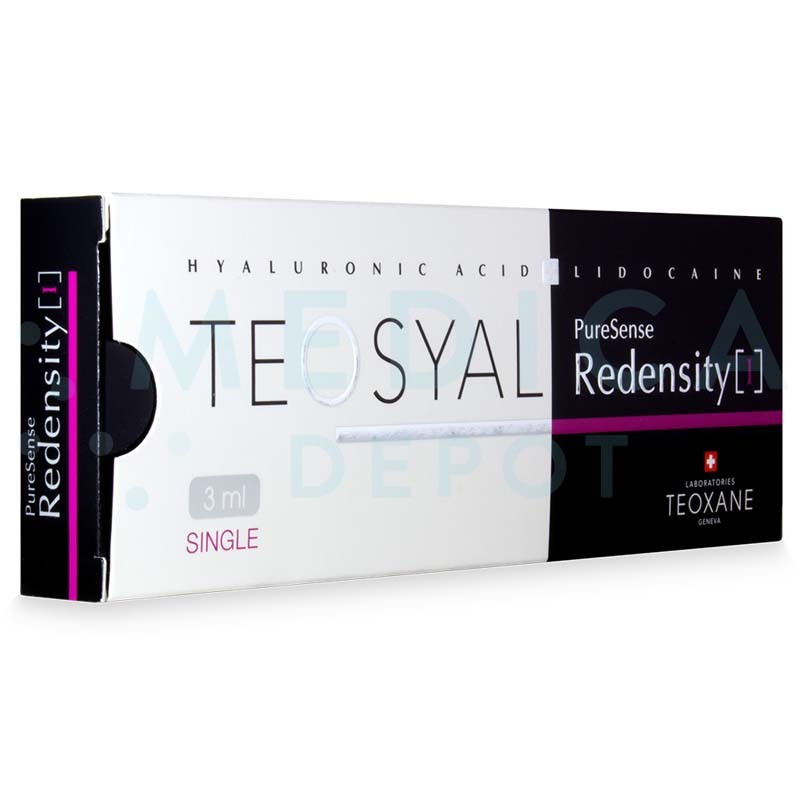 Licensed medical professionals may purchase Teosyal PureSense Redensity I online at www.MedicaDepot.com. Alternatively, you can contact a friendly sales representative by phone to order this and other medical products at wholesale prices. Reverse the signs of aging with Teosyal PureSense Redensity I. This injectable gel is comprised of a cocktail of hyaluronic acid and vitamins, antioxidants, amino acids and minerals (a mix collectively termed the Dermo-Restructuring Complex). Together, these substances refresh and hydrate the skin from within, protect it from damage caused by oxidative stress, and restore the dermal structure. As a result, aged skin is reverted to its youthful state. The undesirable features of aged skin, such as the appearance of fine lines and wrinkles, dull or sallow tone, and dryness, can be mainly attributed to the decrease of hyaluronic acid that occurs naturally with age. Oxidative stress, which decreases elasticity in the skin and contributes to the diminishing of the overall skin structure, is also a main culprit. Teosyal PureSense Redensity I is exclusively formulated with ingredients that address these causes of aging. By replenishing the skin with hyaluronic acid, it is kept hydrated and radiant. The Dermo-Restructuring Complex contained in Teosyal PureSense Redensity I also possesses antioxidative properties, which protect the skin from further damage, and skin-restoring agents, which help to restructure the dermis. 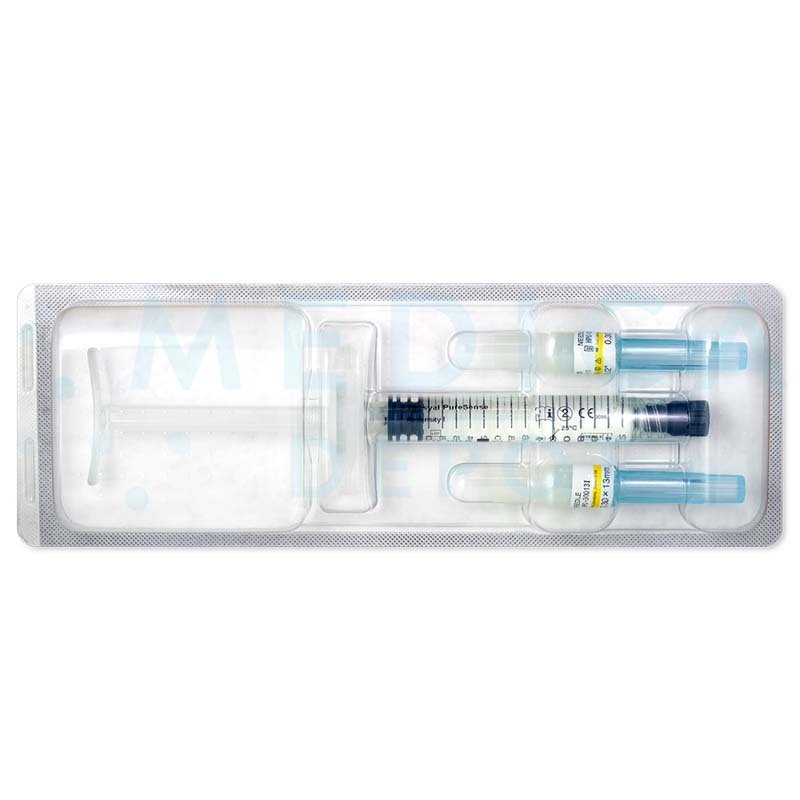 This formulation contains 15mg/ml of hyaluronic acid, 0.3% lidocaine hydrochloride, and a supplemented phosphate buffer (pH 7.3 q.s). This injectable should only be administered by a licensed health-care professional with training in the use of dermal fillers. The procedure consists of a series of microinjections across the areas of treatment to implant an even layer of product into the skin. Prior to treatment, several pre-injections by bolus of 0.05ml of Teosyal Redensity I should be made along the forehead, cheeks, neck and decolletage to improve the effects of lidocaine. After waiting for 1 minute, treatment may then proceed. 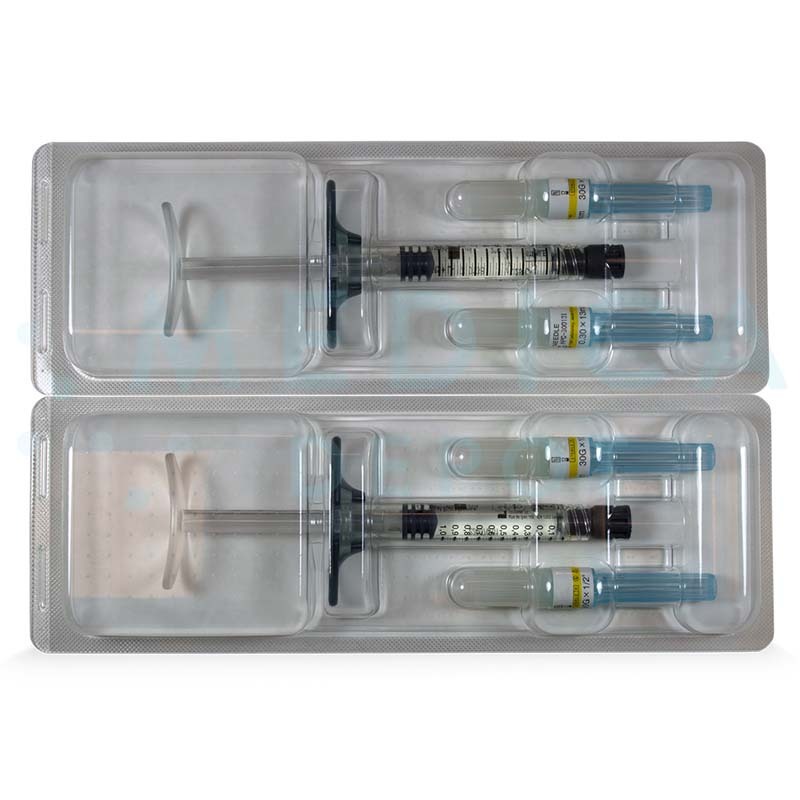 For injection into areas that are usually exposed to the sun, the manufacturer recommends the use of the multi-bolus injection technique for better rehydration, while the multi-puncture technique should be used in areas that are less exposed to the sun. This filler may be used to redensify aging skin. Maximum effects of this treatment can be gained with the recommended administration course of 3 treatments conducted 3 weeks apart. 2–3 sessions per year is the recommended treatment regimen for maintenance of results. 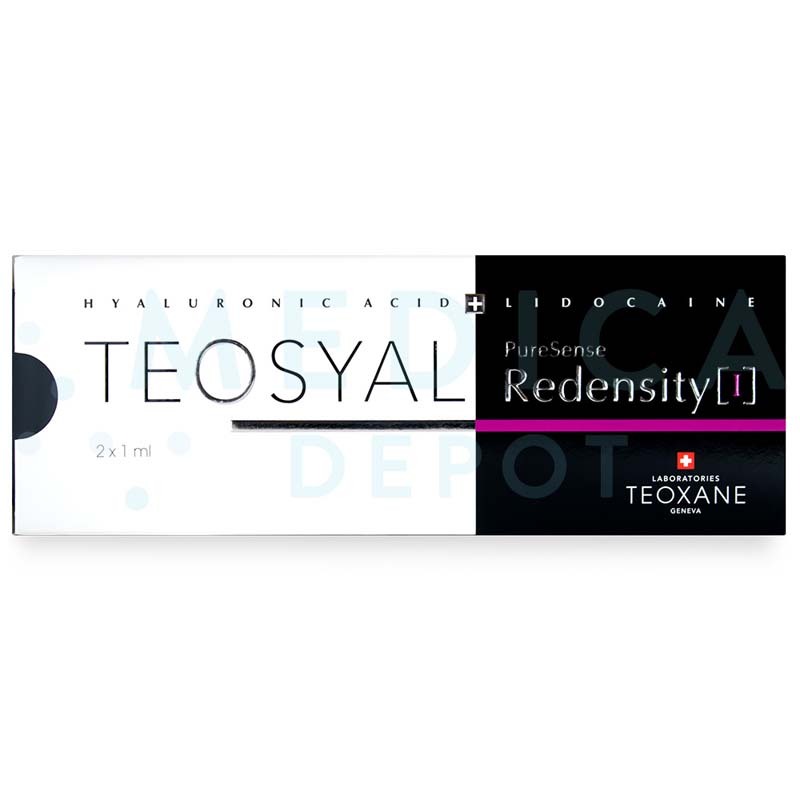 Teosyal PureSense Redensity I can be used on the face and neck. This product is also indicated for use in the neckline, a region that is very often neglected by conventional therapies. 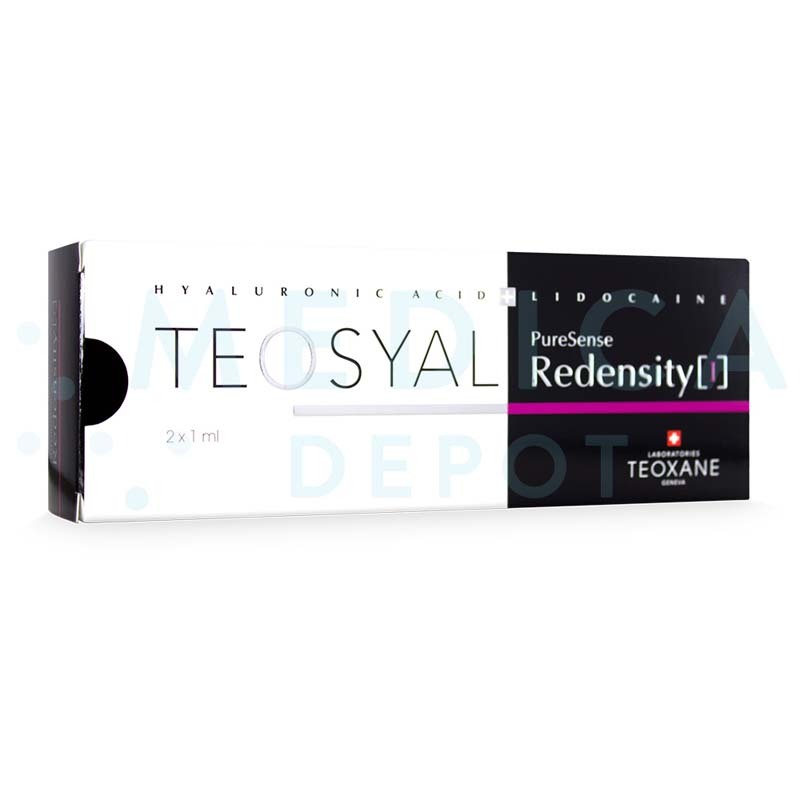 Treatment with Teosyal PureSense Redensity I results in an improvement in the dermal structure, with a restoration of elasticity and smoothness. These results are long lasting but temporary, as the hyaluronic acid contained within this filler is gradually resorbed into the body over a period of several months. To maintain its effects, 2–3 top-up sessions should be performed per year. Who is an ideal candidate for this product? This treatment is suitable for individuals who are looking to invigorate their skin while simultaneously preventing premature aging in a noticeable yet natural way. Candidates should not have a history of allergy to hyaluronic acid or its derivatives. Use of hyaluronic acid based products is contraindicated in pregnant or lactating women and children under the age of 18. Why should I purchase this product? This mesotherapy treatment is a natural, safe and effective way to rehydrate and improve the skin to a greater degree than can be achieved by topical treatments. Results are instantly visible and long-lasting, with minimal recovery time. 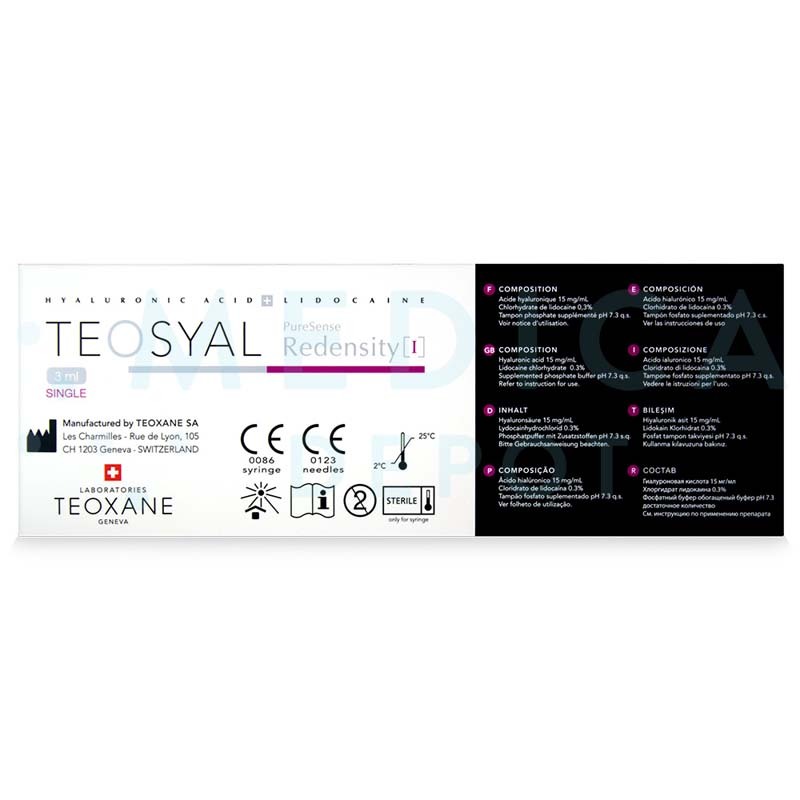 As Teosyal PureSense Redensity I is made of hyaluronic acid that is of non-animal origin, this treatment is effectively non-allergenic and thus is suitable for all skin types, including sensitive skin. All in all, your patients stand to gain great benefits from a course of this treatment. 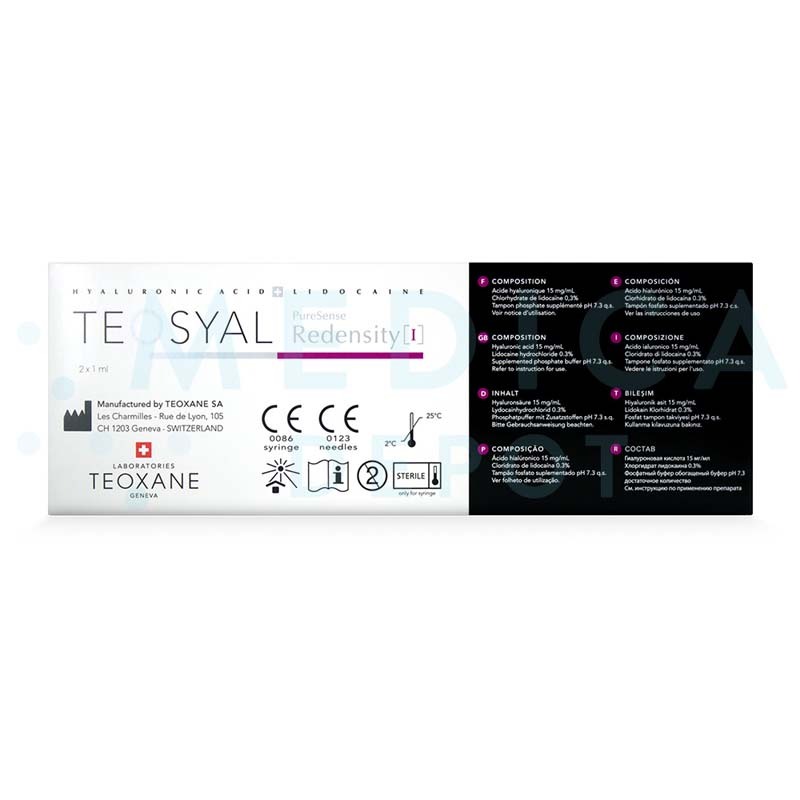 Following a treatment with Teosyal PureSense Redensity I, patients may experience redness, swelling or minor bruising around the sites of injection. These reactions can be managed with application of a cold compress to the swollen areas. These effects are expected and are usually benign and temporary. Any adverse effects should be reported to a healthcare professional. *This website offers only genuine products made by their original manufacturer. All brands are trademarks of their respective owners. This website is not operated by, supported by, or affiliated with the manufacturer in any way. Product packaging may not be exactly as shown. Reviews are written by customers who have made verified purchases of this product. Log in to post your comment!